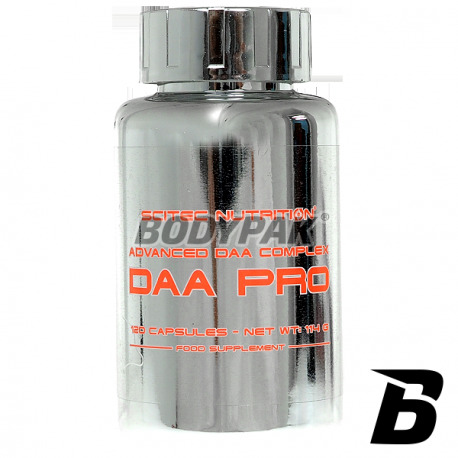 Testosterone BoostersScitec DAA Pro - 120 kaps. Scitec DAA Pro - 120 kaps. High-quality mix: D-aspartic acid (DAA), N, N-dimethylglycine, zinc and pantothenic acid. Zinc contributes to normal protein synthesis, and to maintain a normal level of testosterone in the blood, normal fertility and reproductive capacity. DAA has Scitec Pro D-aspartic acid (DAA), N, N-dimethylglycine, zinc and pantothenic acid. Zinc contributes to normal protein synthesis, and to maintain a normal level of testosterone in the blood, normal fertility and reproductive capacity *. Pantothenic acid contributes to normal synthesis and metabolism of hormones steoridowych, vitamin D and certain neurotransmitters. It also helps maintain mental performance at the correct level *. 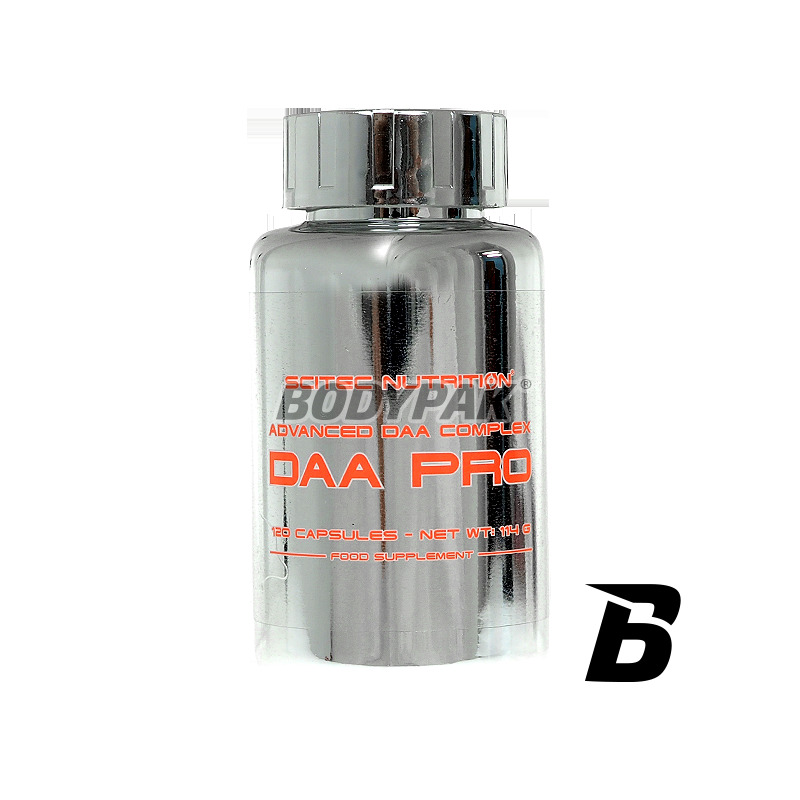 Supplementation with DAA has already received great popularity among bodybuilders and athletes who stay away from using illegal anabolic steroids. Take 1 serving (4 capsules) a day with a meal. Use cyclically: after 3 months of use to do one month break. Składniki: Kwas D-Asparaginowy, otoczka kapsułki (żelatyna wołowa, barwniki: Candurin srebro grzywny, czerń brylantowa, czarny tlenek żelaza), N,N-dimetyloglicyna HCl, substancja przeciwzbrylająca (stearynian magnezu), siarczan cynku monohydrat, D-pantotenian wapnia. Bardzo dobre DAA, działa jak należy!